Ready to start planning next summer? 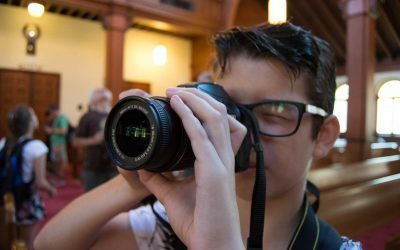 Our camps and courses are for ages 7-18 and include everything for a week-long adventure in filmmaking! There are also courses for aspiring Youtube stars and make up and fx artists. Choose from our wealth of themed camps for students aged 7 to 18. 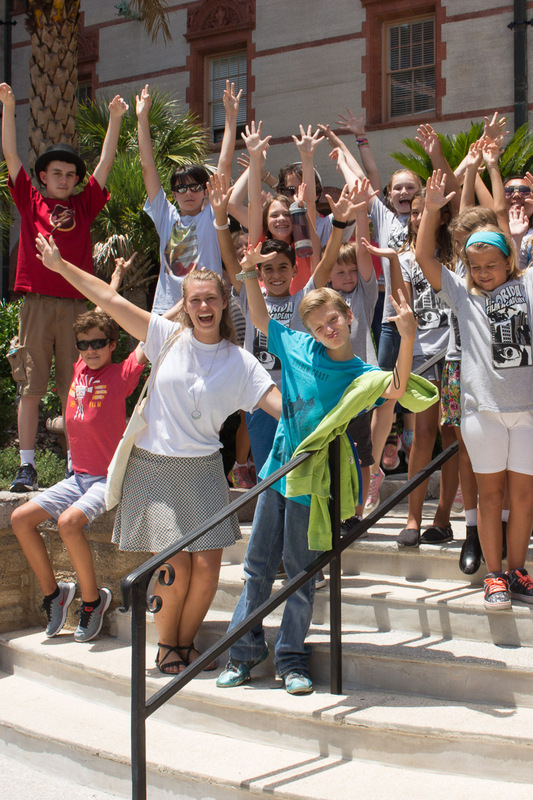 Our Make a Movie camps are a fun and exciting style of movie making! 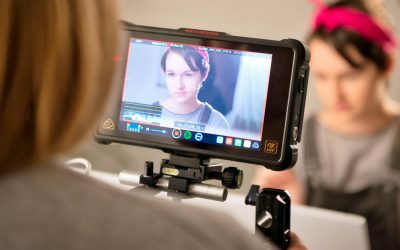 Students experience directing, filming acting and post production with easy to use – but very powerful – film tools. 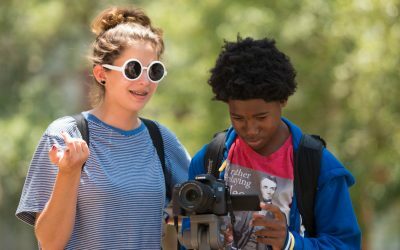 For students looking for more advanced experiences please check out our DSLR & Pre-College Film Camps! Students are teamed into small groups according to age with an instructor for each group ensuring individual attention and that each student has a chance at every role in the film crew. Our Summer 2018 Camps are listed below – book now ensure your child’s place! Camp runs Monday – Friday – 9am to 5pm. Students work together as a film crew to make their own original movies! Experience directing, editing, acting, camera, writing, teamwork and more! All equipment is included! Students are broken into small groups according to age. 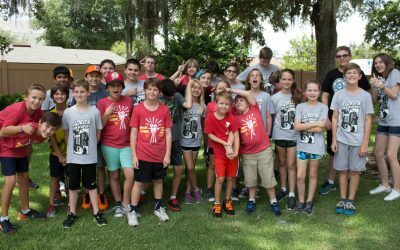 *Please note that our Make a Movie camps are a fun and exciting style of movie making! Students learn to film with basic cameras and edit on Final Cut Pro X. 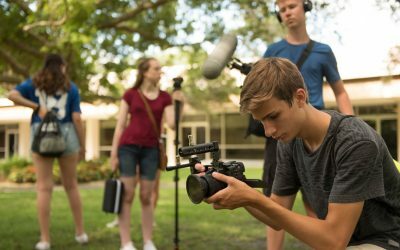 For students looking for more advanced experiences please check out our DSLR & Pre-College Film Camps! Have aliens invaded our Planet from outer space? Are they Hero or Villain? Friend or Foe? 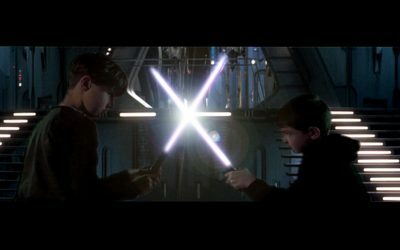 Does your Sci-Fi film take place in an alternate reality or in a Galaxy Far Far Away? 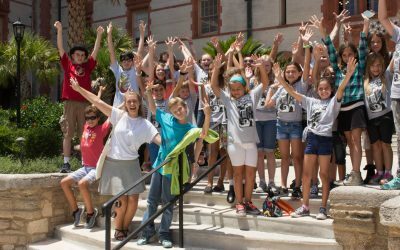 Travel across the space-time continuum with Florida Film Academy & produce original films and experience the exciting world of Science Fiction! Time Travel, space exploration, technology and other worlds are the themes this week! This camp only accomodates a limited amount of students! after enrolling and prior to summer camp starting indicating their current YouTube channel or YouTube ideas if their channel does not exist yet. It’s the new generation of Zombies & the Apocalypse is coming to Florida Film Academy! It’s up to YOU to take the LAST STAND for humanity! Zombie make up, homemade blood and filmmaking techniques are among the ingredients you need to create an original zombie movie! This week also includes a fun, special make up workshop this week as well! 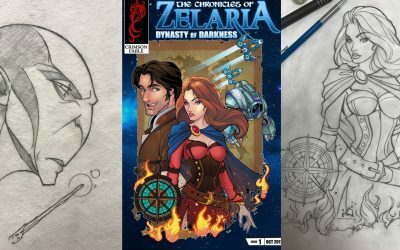 Stranger Things, The Marvel/DC franchises, Harry Potter – what if YOU the filmmaker wrote your very own fan fiction version or created a different ending or spin off to your favorite pop culture hit? This week is your chance! Join us and learn about the exciting world behind Fan Fiction! Students are broken into small groups according to age and experience. Before and after care is available on request for an aditional charge, please contact stefanie@flfilmacademy.com for further information. For more advanced film students ages 12 and over. In this one of a kind experience, immerse yourself in the world of DSLR movie making as you produce your own film, trailer and behind the scenes documentary – all in one week! We orgnaize students by age. Camps run Monday – Friday 9am to 5pm. Before and after care is available on request for an aditional charge, please contact stefanie@flfilmacademy.com for further information. Students work together as a film crew to make their own original movies! Experience an exciting, hands on make up workshop with industry professionals. Learn special effects make up techniques and apply them to your original movies. 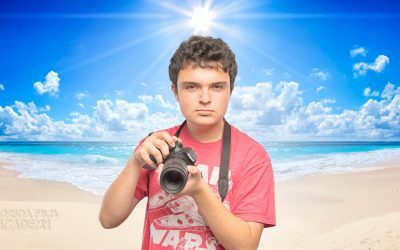 Learn special editing effects, green screen techniques and more! * Our expert joins the camp on Tuesday only, for the rest of the week our students will apply the techniques they learn to make their movies. This intensive movie make up summer camp is a one of a kind, hands on, project based experience. Curriculum includes special effects make up, prosthetics sculpting and design, cosplay & character creation, special industry guests and much more! Students will be creating a visual portfolio of their work throughout the week. All equipment, materials and make up is included with the cost of the camp. Students are taught and guided by industry professionals and instructors differentiate across the level of the students. *Please note that camp is from 9am-3pm Monday – Friday and all levels are welcome! 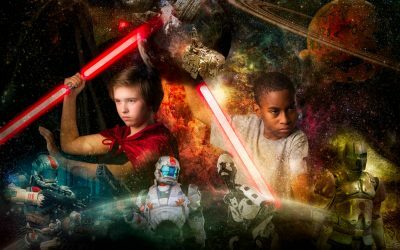 This hands-on, week-long Visual Effects camp is the perfect immersive movie fx program for students of all skill levels who want to learn how to create the kinds of eye-popping effects you see in all he big Hollywood movies! Visual Effects Producer Jon Gress (who has taught hundreds of Hollywood’s top VFX artists & supervisors) will teach you how to do 2D Animation, cartoon, photo, hand drawn cel animation, flipbook, rotoscoping, Stop-Motion and facial animation, Time lapse, Stop frame & stop action FX, Cinemagraphs, 2.5D multi-plane animation and matte painting, environments and 2D animation compositing FX like how to add explosions, smoke, fire, rain, snow, and more! You’ll also explore practical, in-camera special effects such as stop frame, stop motion animation, Pepper’s ghost mirror effects, underwater effects, how to simulate water surface reflections, how to create model miniature FX and film them to look like the real thing and learn to create all kinds of digital sci-fi and fantasy movie VFX such light sabers, laser beams, magic wand fx, explosions, HUD’s, spaceships and 3D stereoscopic movies & images (and even star in some of them yourself!). In this one of a kind course led by Animator Peter Smith, students will focus on the artistic aspect of how video games are created. The course will cover character design, environmental design, storyboarding, heroic anatomy, and color theory. Students will also learn how to digitally paint and work with type in adobe photoshop. Digital painting will be taught on the Wacom Cintiq. This course will give students the experience of what it is like to work in professional art department and how to collaborate with other artists while working on complex projects. Platform 9 3/4’s is waiting! Students work together as a film crew to make their own magical, wizard themed movies! Experience directing, editing, acting, camera, writing, teamwork and more! Are you a fan of the classic 80’s movies like Back to the Future, Indiana Jones & Ghostbusters?? Did you know these movies are all multi genre films? These movies embraced comedy, sci-fi, adventure and more! Work together as a team to either come up with your own multi genre movie or re-create one of the classics in this awesome week celebrating the art of film! Most camps at our Winter Garden Studio run Monday – Friday 9am to 5pm. Before and after care is available on request for an aditional charge. Residency and on-location camps have specific times and rules – details listed in the camp descriptions. For the safety, security and wellbeing of our students, Florida Film Academy operates a behavioural policy.